Student loan refinancing is a hot topic in the news these days. Legislators are making proposals to bring refinancing in at the Department of Education, and a day doesn't go by without some big headline about soaring student debt levels. But is refinancing a good idea for everyone? That is a definitive no. So when does it make sense to do? 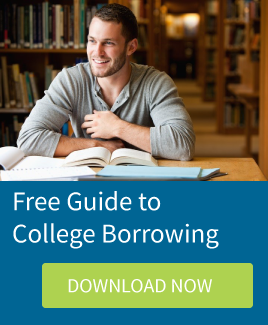 Here are 5 reasons you may want to consider refinancing your student loans. 1. You want a lower interest rate. If you have a private student loan or a federal PLUS loan, you may be paying a higher interest rate than what is in your best interest (pardon the pun!). Federal PLUS Loans had rates at 7.9% or 8.5% for years. You can consolidate them under the federal loan program, but that won't change your interest rate - only a refinance loan can do that. Some private education loans have rates at 8 or 9%, sometimes north of 10%. If you want a better interest rate, which could potentially save you thousands of dollars in interest costs, then refinancing might be for you. 2. You have good credit. So, you want a lower interest rate. The next question is can you get one? Like with all financial products, there is a big range out there on the market and what you qualify for will largely have to do with your credit. If you are often late on your bills, have filed for bankruptcy, or have gone in to default on any of your loans, you may not get approved for a refinancing loan. Even if you don't have any derogatory credit and you do get approved, the rate you receive may be based on your credit score (depending on the program - not all programs offer rates based on credit). The lower your credit score, the higher your interest rate. 3. You want to simplify your life. If you have education loans with multiple lenders, refinancing can reduce the number of bills you have to pay. Just remember, taking a higher interest rate and worse terms isn't a good trade off for less bills so do your homework before you combine your loans. 4. You want to shift responsibility. Maybe you are a cosigner on a loan - or you have a cosigner - and you want to shift primary responsibility of the loan to the other signor. You may be able to do this through your current lender's cosigner release program (if there is one) but sometimes a single late or missed payment can disqualify you. If you want the obligation released from your credit, the other party on the loan may be able to refinance the loan under their own name (with or without another cosigner) and you will no longer be responsible for the loan. 5. You don't think you'll take advantage of federal benefits. At RISLA, we most often recommend that students don't refinance their federal subsidized and unsubsidized loans (Stafford) or Perkins loans. In our opinion, there are simply too many great benefits on these loan products - benefits that will cease to exist if the loans are refinanced with a non-federal lender (you can consolidate these loans under the Federal Direct Consolidation Loan program and keep your benefits). Some borrowers believe they will never take advantage of these benefits: they have a very secure job; high pay; etc. and would rather take the risk with the benefits to simplify life and possibly even reduce their interest rate. If you fall into this category, refinancing might be for you. Just proceed with extreme caution and make sure you are very aware of what benefits you will lose if you take this route. There is no turning back once you refinance your federal student loans. Think refinancing might be for you? Your first step should be to shop around! Explore the lenders out there that offer refinancing loans. Investigate the interest rates, fees, benefits, and terms of the programs. Apply and compare rates. Know you have the right to cancel your application after you receive your rate if you don't like what you receive. And good luck! Interested in seeing what you could save with a RISLA Refinance Loan?